If there is any game that matches up with Monster Hunter, it’s God Eater. The two games share a lot of similarities with each other, seeing as how you’ll be embarking on missions in both games. 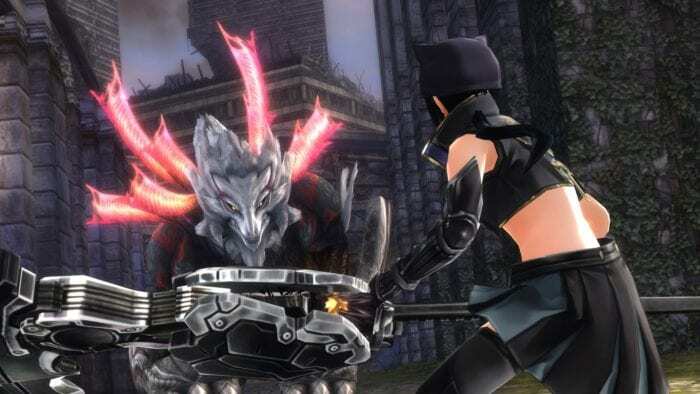 In God Eater, you will be taking up missions instead of hunts, but everything plays out the same way: get deployed, find the monster (known as the Aragami), hunt it down. Your main weapon, the God Arc, comes in three forms. The Blade Form is mainly for closed ranged combat, while the Gun Form is for long range shooting. You can also protect yourself from any incoming attacks using the Shield form. God Eater allows you to seamlessly transition between each form in combat, letting players to choose their own preferred play style. The God Arc also allows you to “devour” your enemies, essentially breaking their body parts and taking any useful components and items. If you’re leaning towards a more anime-esque Monster Hunter game, God Eater is right up your alley.